ATTENTION: Orders needed for 'Pink Out' shirts! Courtney Osborne, ninth-grade academic advisor, is the process of ordering “Pink Out” shirts. The shirts will be in October 12 but she needs to get a count on how many to order. Shirts will cost $12. All proceeds for the shirts will go to Angels of Hope-A Family Cancer Foundation. 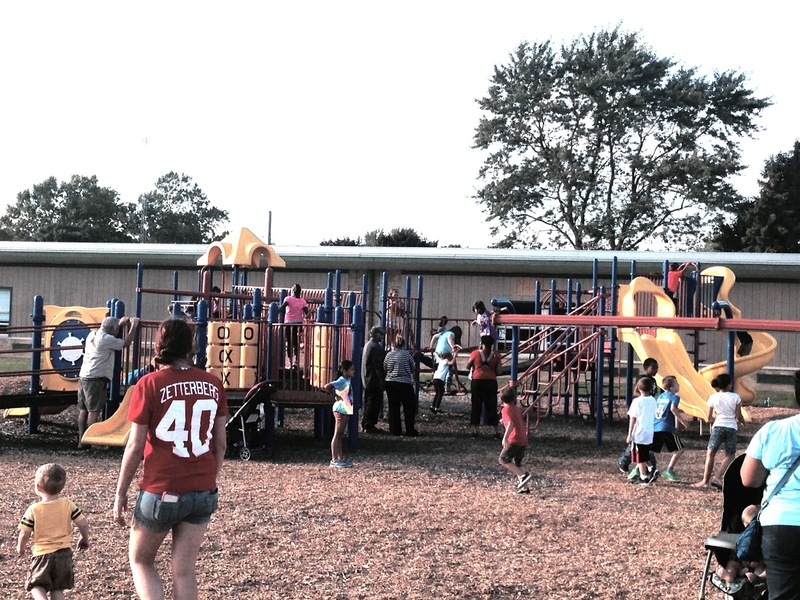 Contact Osborne at 734-374-1229 ext. 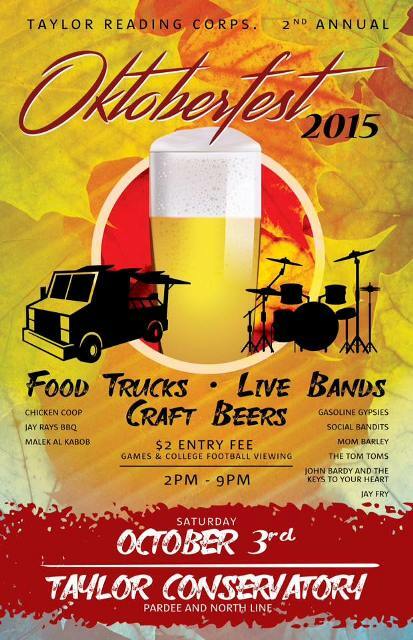 10316 or via email at Courtney.Osborne@taylorschools.net. 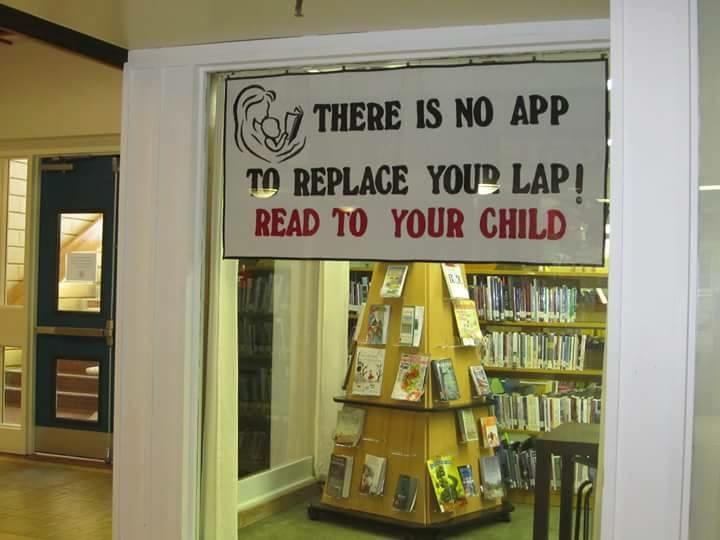 There really is no App to Replace Your Lap! Here are some Halloween book suggestions to read as a family from McDowell Elementary School. “Room on the Broom,” by Julia Donaldson and Axel Scheffler. This is a fun read where a not-so-scary witch picks up some friends after losing her hat. The book has nice illustrations and it's a perfect length for reading aloud. “The Little Old Lady Who Was Not Afraid of Anything,” by Linda Williams. This book has been around a long time. Several items of clothing are chasing the little old lady, but she isn't afraid. She eventually finds a clever use for them as well! Children are delighted by the sound effects that each object makes. “Clifford's Halloween,” by Norman Bridwell. Who doesn't love Clifford? 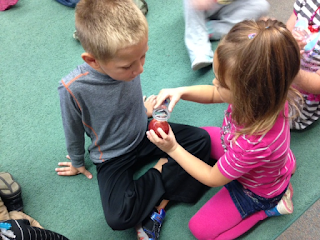 Clifford wants to dress up for Halloween, so his friend Emily Elizabeth helps him with a costume. Things don't go exactly as planned, though. A great book to share. “There Was an Old Lady Who Swallowed a Bat,” by Lucille Colandro. Your kids will beg to hear this one again and again. There are several different books about this little old lady and the crazy stuff she eats. Love the Halloween theme of this one. “The 13 Nights of Halloween,” by Guy Vasilovich. This book can be sung to the tune of "The 12 Days of Christmas.” It has awesome illustrations, and the kids love to sing along once they figure out how it goes. “The Ugly Pumpkin,” by Dave Horowitz. This is a classic Ugly Duckling stylebook about a pumpkin no one wants for Halloween. Will the pumpkin have a happy ending before Thanksgiving? This book has the possibility of good discussion points for older primary students. “The Red Ghost,” by Marion Dane Bauer. This is a companion book to The Blue Ghost, The Green Ghost, and The Golden Ghost. Educators love these chapter books for children because they're scary, but just enough. The Mustangs collect and recycle numerous items. 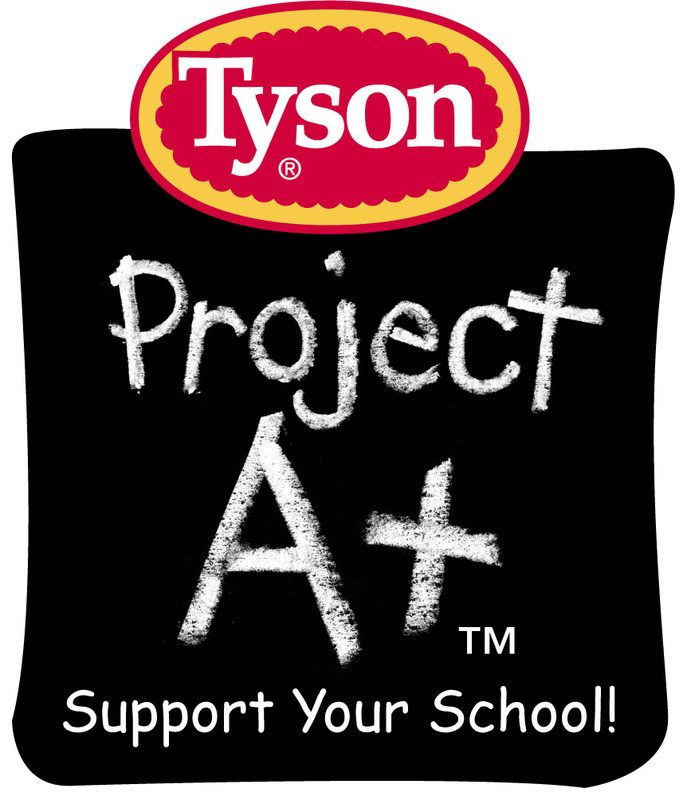 They collect Boxtops for Education, Labels for Education, Tyson Project A+, Cartridges For Kids and used batteries. Randall also collects pull tabs from cans. The pull tabs are sent to the Ronald McDonald House. 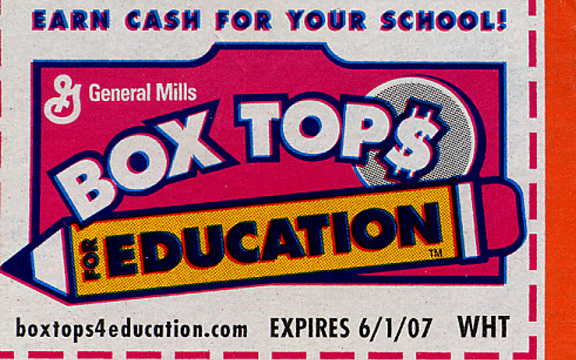 Send in boxtops and Randall receives 10 cents for each of them. The Labels for Education program enables the school to be able to choose many items from a catalog. 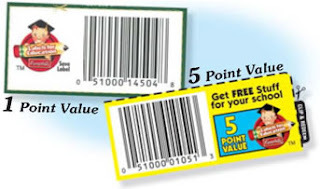 The “Cartridges” program enables the school to be able to receive cash. 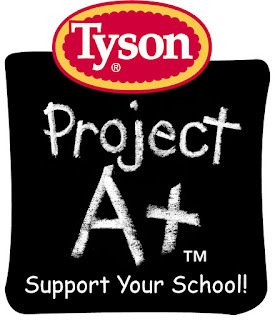 The Tyson Project A+ labels cycle 25 cents back to the school for each collected. Mustangs recycle paper and place it in the green and yellow dumpster facing Robert Street. Residents are encouraged to use this same dumpster for their paper. Randall now have seven green recycle bins from the City of Taylor that are used to recycle cardboard, plastic, glass, etc. The school’s Green Team (which are fifth-grade students) helps with all our paper recycling. If you want to help us keep Randall and the community green, please recycle your items. You may drop off ink cartridges, old cell phones, used batteries and other electronics in the Randall office. And thanks in advance from the Randall staff and students. Kindergarteners at McDowell Elementary School turn into scientists as they examine the old flower parts on an apple in Ms. Bochenek's class. 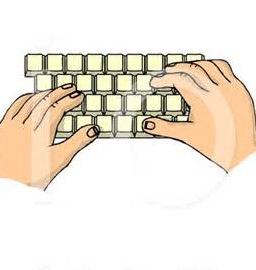 HOOVER MIDDLE SCHOOL suggests that use of fingers be added to thumbs when on the keyboard! Give those thumbs a rest. In this era of texting, our thumbs get a daily and hourly workout. Hoover Middle School is now giving keyboarding classes to all their enrichment classes. Why work just our thumbs when our fingers and thumbs together are better? No better way to sharpen those typing skills that to practice. Just another way the Hoover Hawks are soaring high to success. 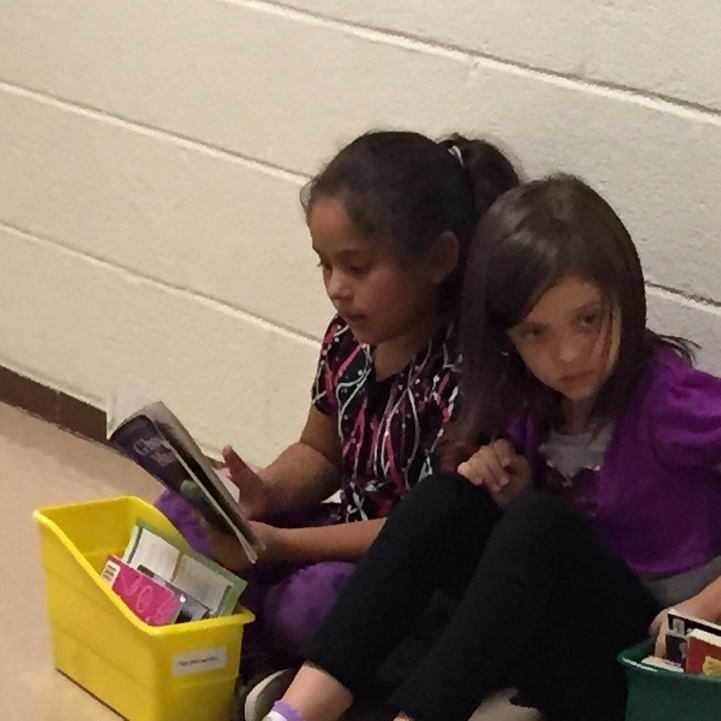 Fourth graders like these at Holland Elementary School can be found reading and writing just about anywhere in their classroom. They are building their reading stamina and enjoying books they have selected from the classroom library. It’s “The Daily 5” at Blair Moody Elementary School! 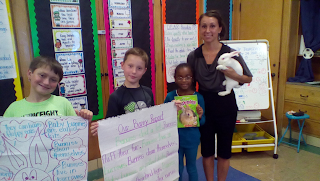 In Mrs. Harig’s classroom, second- and third-graders are busy doing the Daily 5 Reading Workshop model. 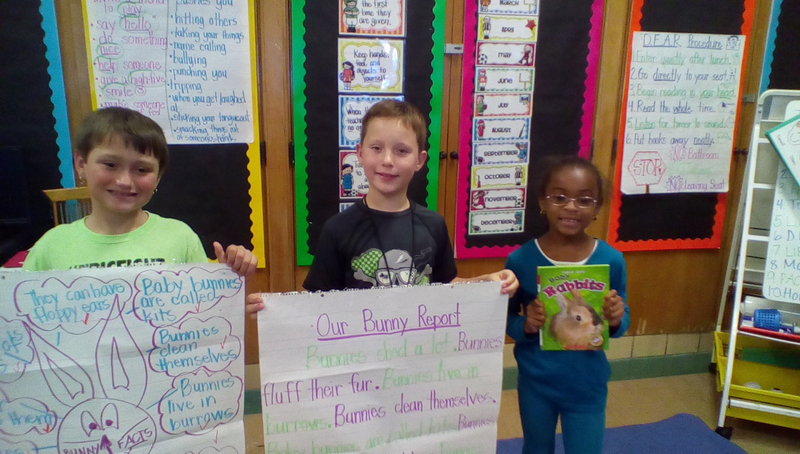 The Daily 5 gives students a choice in authentic literacy activities every day. 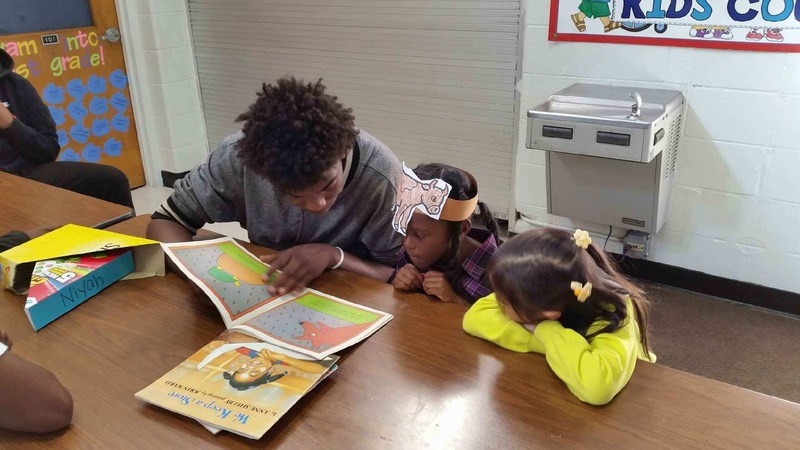 Research shows that students have higher achievement in reading and writing when they are offered a choice in what they’re doing during Reading Workshop. 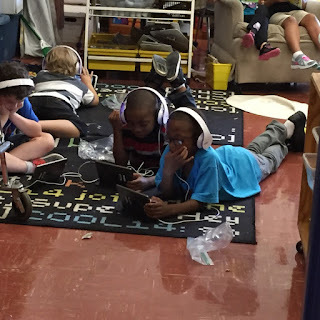 Students may choose to Listen to Reading, Read to Someone, Read to Self, Working on Writing, or do Word Work. 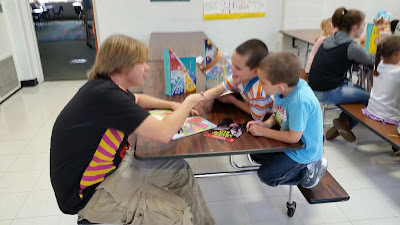 Several rounds are completed each day (with each child making a new choice for each round), along with small Guided Reading Groups or individual conferences with the teacher. 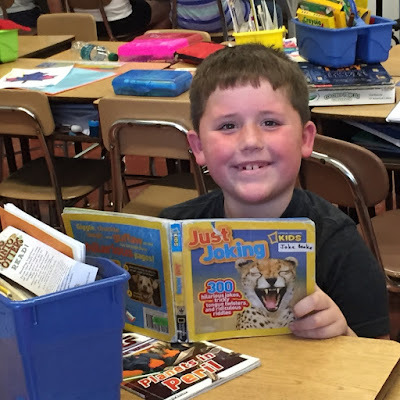 Along with choice of activity, students learn to Choose Good Fit Books that are just right for their level and interest. 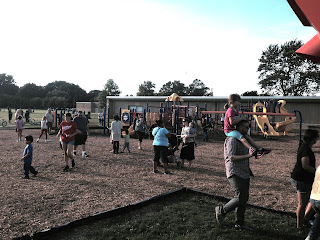 While the teacher appreciates the independent, on-task behavior exhibited during Daily 5 and the growth students demonstrate throughout the year, the students just think the Daily 5 is FUN! 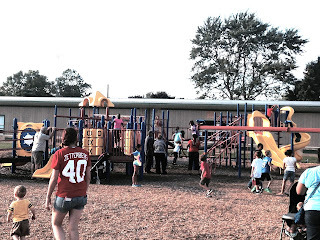 MCDOWELL ELEMENTARY SCHOOL: Plenty of reasons to be happy! 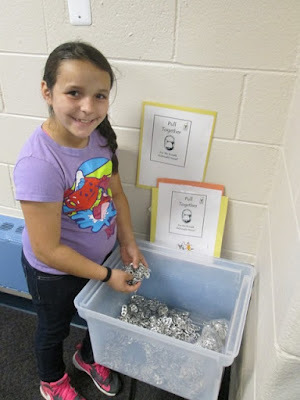 There are a "Minion of Reasons" to love McDowell Elementary School this year. Here are just a few! 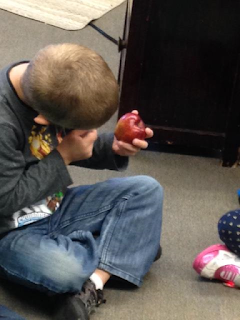 McDowell Elementary School is home to Ms. Bochenek's "Outstanding Kindergarten Owls." Here they are hard at work with their "A for Ant" pictures and don't miss their self portraits! 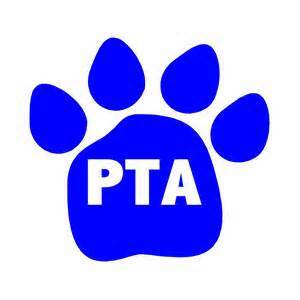 McDowell Elementary School had its first PTA meeting recently. Parents have real power, when combined with a staff that cares. That's what they say at McDowell. Educators and parents need many hands and voices as possible to help make th school the best it can be. Recently there was much excitement and discussion about upcoming events. 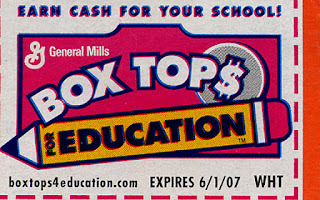 Some topics that were included Box Tops, Shoparoo, Red Wing Tickets, Holiday Shop, classroom needs, staff needs, and much more. Upcoming meetings are October 23, November 20 , December 18, January 29, February 26, April 29 and May 20. All meetings are schedule for 9:30 am. McDowell educators invite all family and friends of McDowell to attend. After all, "many hands make light work!" 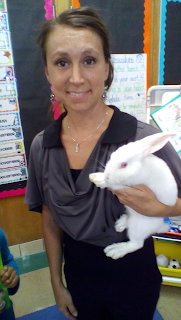 Mrs. Godfrey, Taylor Parks Elementary School second-grade teacher, introduced her students to a new friend. Her name is Elsa and she is a pure white rabbit. Elsa will be spending her time in the classroom this year so students wanted to learn all about rabbits and the proper care for them. After reading together several books on the subject, the students did a thinking map that will enable them to make the right choices when helping their new friend adjust. 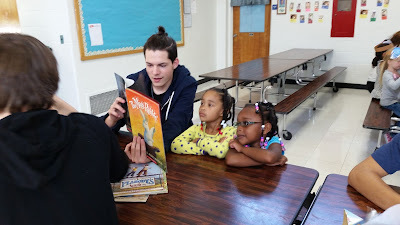 Holland Elementary School kindergarten students enjoy books with Titan Alternative School students during a recent get-together. There are some days, even weeks, where it seems that you get nothing but beaten down. No matter how much good you try to do, things backfire and spiral out of control. While your trudging through those days, those weeks, you can’t help but to wonder, why am I doing this? You begin thinking to yourself, just stay down, give up, just keep your head down and plow through the day with minimum effort, minimum risk and minimum notice. I’ve been there. At times my frustration level has been off the charts. On more than one occasion I toyed with the thought of just handing in my keys and walking away. But then something comes along and reminds me of why I do what I do. Something that gives my life purpose. Something that gives my efforts meaning. So I pick myself up, dust myself off, and once again begin “tilting at windmills”. You never know how far your efforts will reach. You never know when your voice will be heard, when they finally listen or recognize a lesson that you taught them. It often comes years after they have already left school. 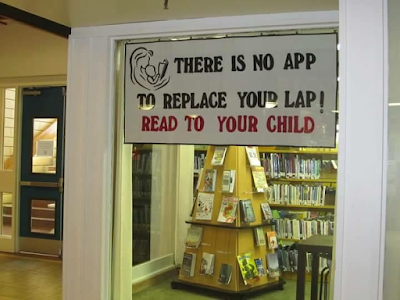 You don’t know how many generations your message, your efforts will reach and/or touch. You just don’t know how far your influence will stretch and how many people will be made better by your efforts either by direct or indirect action. Never give up, never give in and keep fighting for your students. They need your efforts more than you will ever know. 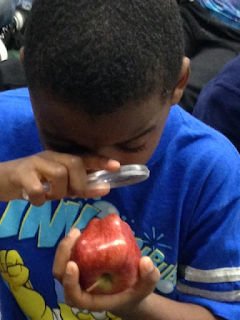 How and where will you lead them … Making Kennedy the school of choice. Excellence by design. Third graders at Myers Elementary School have recently begun their “Math Workshop.” Students are learning to play math games with a partner. They are also getting manipulative and basic facts practice. Students from Titan Alternative High School took time to read to Holland Elementary School kindergarteners last week. 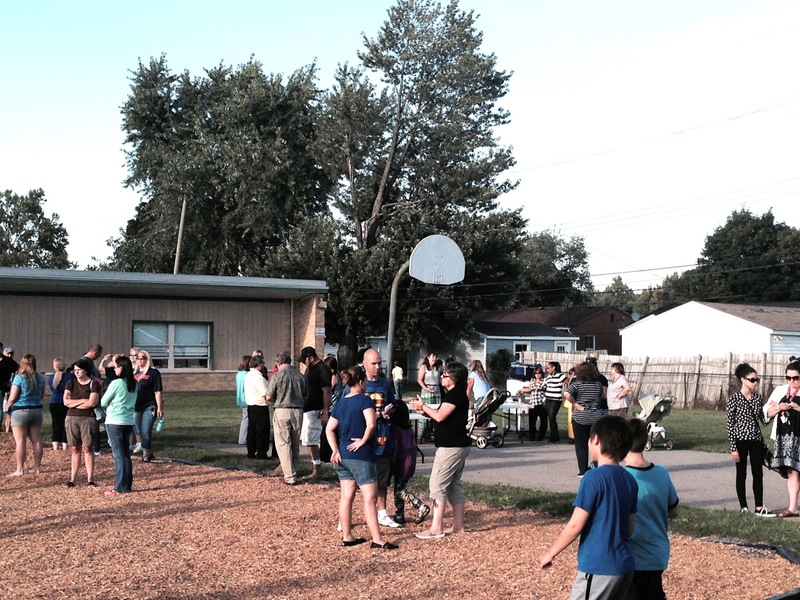 On September 10, the Blair Moody Elementary School staff welcomed the students and parents back with some ice cream. 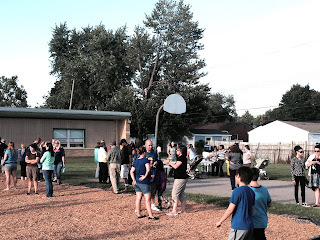 Just over 350 people attended the “Ice Cream Social” and were able to talk to the teachers and spend the evening with the Blair Moody community. The families and staff all had fun in a relaxing way. 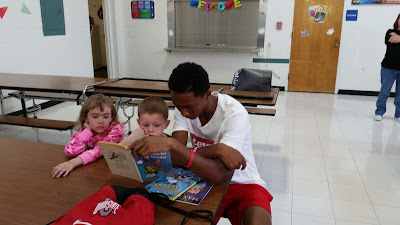 It was a great way to begin the school year. Holland Elementary School kindergarten students recently practiced procedures with scooters during the second week of school. They spent time taking turns and sharing equipment.